Back in February, Google launched a new app called "Reply." This worked with certain messaging apps to provide users with contextual smart replies, allowing them to respond appropriately to a message with the tap of a button. Reply came from Google's Area 120 incubator and was technically an experiment. On Wednesday, the experiment came to a screeching halt when Google told Reply users via a message that going forward, the app might not work correctly. If you decide to keep using Reply, the company warned, "while it might still work for the next few months, you may encounter bugs, or see that the suggestions aren’t as good." If you are engaged in a serious thread with your boss, as an example, you might not want to rely on Reply to get you by. Reply was developed by Area 120 to allow those who use the smart reply option on Google apps like Gmail (see image at the top of this story) and Allo, to use them on other apps. Meanwhile, Google has added native support for smart replies in Android Pie; in the message sent to Reply subscribers, the company suggests that we will be seeing more, not less, of this feature. 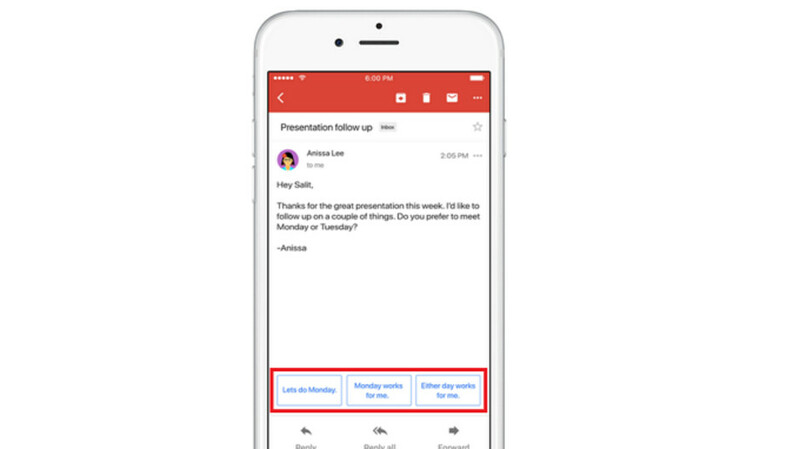 "We worked with teams in Google to make sure the ideas and learnings from Reply will live on in other Google products," said the message. The Reply Team at Area 120"